"Parts Unknown" was nominated for Outstanding Information Series or Special. The news comes just one month after the host, executive producer and acclaimed chef's death on June 8 from suicide. It was announced on Thursday morning that the late Anthony Bourdain's show, "Anthony Bourdain: Parts Unknown," has been nominated for six awards at the 2018 Emmys. This news comes just one month after the host, executive producer and acclaimed chef's death on June 8 from suicide. "Parts Unknown" was nominated for Outstanding Information Series or Special, Outstanding Cinematography For Non Fiction Programming, Outstanding Picture Editing For Nonfiction Programming, Outstanding Short Form Nonfiction Or Reality Series, Outstanding Sound Mixing for a Non Fiction Program and Outstanding Sound Editing for a Non Fiction Program. 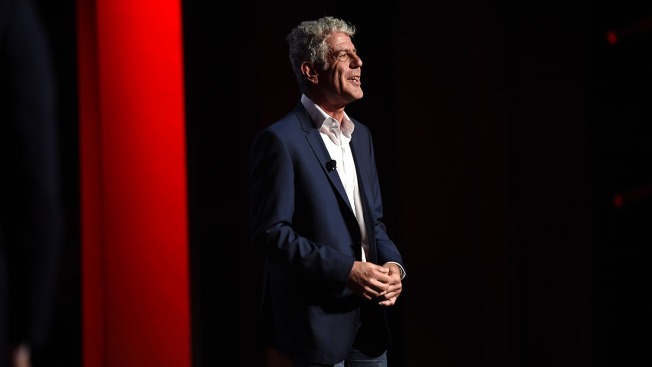 After learning the tragic news of Bourdain's passing last month, many members of the food industry as well as the Hollywood community took to social media to react. "Stunned and saddened by the loss of Anthony Bourdain. He brought the world into our homes and inspired so many people to explore cultures and cities through their food. Remember that help is a phone call away US:1-800-273-TALK UK: 116 123," Gordon Ramsay tweeted. Bourdain's longtime girlfriend, Asia Argento, also wrote on Twitter, "Anthony gave all of himself in everything that he did. His brilliant, fearless spirit touched and inspired so many, and his generosity knew no bounds. He was my love, my rock, my protector. I am beyond devastated. My thoughts are with his family. I would ask that you respect their privacy and mine."